The student-led March For Our Lives movement, formed in the wake of the mass shooting at Marjory Stoneman Douglas High School in Florida, captured widespread attention in 2018. The raw emotion and eloquence of these student activists have made a strong impression on the nation and the world. Many other students in cities and towns all across the country have taken on other causes. Whether their efforts are local or global, whether they generate headlines or not-all of these student activists seek to create a better world for themselves and others. 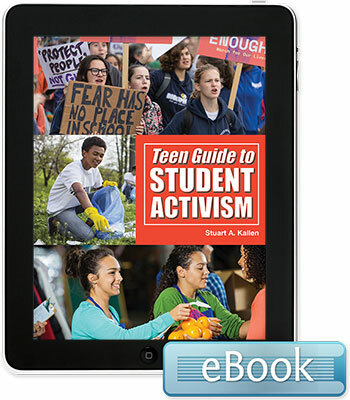 Teen Guide to Student Activism features stories about teens who are making a difference and shows other teens how they can do the same. 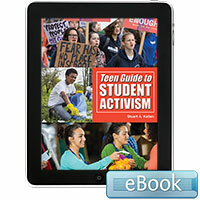 The book discusses organizing, reaching out, and student rights. It also features insights from student activists about the challenges of balancing school and activism and the many lessons learned from their own activities and from earlier activists. The book includes many fully documented quotes from teens as well as an annotated list of Resources for Student Activists.